Let’s admit it. Winters have never been too kind to our skin. Dry skin and chapped lips leave us no choice but to resort to the heavy chemical-based cosmetics and creams, which further takes away most of our natural sheen. One of the most reliable ways to break away from this viscous circle is to decrease your dependency on market-based skin care products and adopt more natural skin-care ways. Make sure you drink plenty of water through the day to keep your skin hydrated. There are some special kitchen ingredients you can make part of your skin-care regimen too. 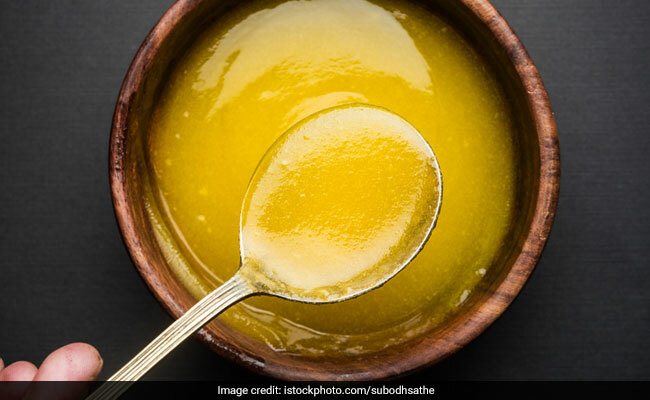 Ghee, or clarified butter, has been a prominent part of our desi skin care rituals since centuries. Ghee is enriched with vital fatty acids act as a nourishing agent for your dull skin. It helps keep your skin soft and supple and also hydrate your skin cells that helps induce a natural glow. Ayurveda has also dubbed ghee as one of the finest skin-care ingredients, along with turmeric and besan. 1. Take a bowl and mix 2 tablespoons of ghee, 2 tablespoon of besan or haldi and water. Mix them well. 2. Ensure that the consistency is not dry. If you find the face pack to be too watery, then add besan or haldi to it. 3. Now, apply this face pack on your face. Let it sit for 20 minutes; rinse it off with cold water. For best result, use it thrice a week. Ghee is an excellent remedy for chapped lips too. Warm one teaspoon of ghee. Mix a dash of honey in it. Massage your lips with this mixture before going to bed. Doing so daily will help give you smoother and moisturised lips in a matter of few days.